NEWS ALERT: New Paper confirms acellular pertussis vaccines increase lifetime susceptibility to whooping cough. It’s important to know how to recognize potential pertussis infections, how the infection progresses, what symptoms mean, and treatment options. Always consult with your trusted medical advisor. “Pertussis in infants was associated with prolonged new cough (≥5 days) in infants’ household contacts. Findings suggest that breastfeeding protects against pertussis and warrants recommendation with pertussis prevention strategies, which currently include pertussis vaccination of pregnant mothers and infants’ close contacts.” PMID:28033240 This study looked at years in which birth mothers likely had received whole-cell DPT in childhood, not Tdap. An Italian study (PMID:27870812) looking at later years in which birth mothers were more likely to have the acellular Tdap did not find breastmilk provided adequate protection against pertussis, (but breastfeeding was still highly recommended). This may be reflective of the differing immune response between whole cell and acellular pertussis vaccines. ICWA NOTE: safety of maternal vaccination has not been established. The cocooning strategy was abandoned in Australia, after an independent group evaluated it was having a negative effect. Pertussis is a very serious infection and vaccination does not prevent either colonization or transmission. In fact recent studies have shown that when exposed to pertussis (whooping cough) those who are vaccinated with the acellular pertussis vaccine are as contagious as those who are not vaccinated, only without warning symptoms to let them know they are contagious. Warfel JM, Zimmerman LI, Merkel TJ. 2016. Comparison of three whole-cell pertussis vaccines in the baboon model of pertussis. Clin Vaccine Immunol 23:47–54. doi:10.1128/CVI.00449-15. “The whole-cell pertussis vaccine that evolved in the 20th century was clearly reactogenic, although the permanence of its sequelae was exaggerated. Nevertheless, reactions were disturbing to parents and, even worse, whole-cell vaccines were extremely variable in the protection they gave, as was starkly evident in the results of the trials conducted in the 1990s, in which whole-cell vaccines were used as comparators to acellular vaccines. Specifically, whole-cell vaccines made in some European countries were shown to be much more efficacious than one made in the United States. The efficacy of vaccines made by laboratories in other parts of the world remains uncertain. The reactions to whole-cell vaccines in high-income countries, including convulsions and hypotonic episodes, led to its rejection and replacement by acellular vaccines composed of 1–5 virulence factors of the organism. The fact that the composition of acellular vaccines has been so variable, both in the number of antigens and their concentration, testifies to the uncertainty about which factors are important, an ignorance that continues today to a certain extent. However, there was general agreement that pertussis toxin (PT), with its multiple systemic and local effects, should be included as toxoid. There was disagreement as to the need to add filamentous hemagglutinin (FHA), pertactin, and fimbria. While pertussis is very serious, in Washington State, there were only 4 Pertussis deaths in 21 years from 1959 to 1980. Pertussis outbreaks are cyclical. During the 2012 outbreak in WA, 75.8% of cases were in fully vaccinated people who were “up-to-date” on pertussis vaccination. CDC Data. In 2012, of the 155 reported pertussis cases in infants aged <1 year, 34 were managed in a hospital. Among these hospitalized infants, 14 were aged <2 months. Of the 2,360 cases involving children aged ≥1 year with known outcome, 14 of the children were hospitalized. No fatalities were reported. In the 1990’s, because DTP came with such high risk of injury, it was replaced in the U.S. with the acellular (not whole cell) DTaP and Tdap vaccines. Although capable of providing limited personal protection, these vaccines also come with risks, the protection wanes quickly, they don’t protect against mutant and emerging strains, and they cannot prevent the colonization or transmission of infection. Large outbreaks are occurring in fully vaccinated populations to those who have received multiple vaccine doses. Studies are showing that repeated vaccination decreases the ability to fight the infection, and mutant strains now make up 90% of pertussis infections in western countries. Repeated vaccination leads to the danger of hyperimmunization. This is of particular concern for the tetanus vaccine. See PMID 3499712, 8491525, 22235053, 22875539, 23238161, 25430703. Because of a phenomenon known as “original antigenic sin,” each subsequent vaccination with acellular pertussis vaccine makes the immune system more vaccine-strain-specific and less able to bind with wild pertussis. Lengthier infection times in those who are asymptomatic also leads to more virus mutations for which the vaccine is not protective. Whooping cough is a highly contagious, acute respiratory disease, caused by the Gram-negative bacterium Bordetella pertussis (Bp). Despite the introduction and widespread use of vaccines starting in the 1950s pertussis cases continue to be reported, with a significant global impact. The role of specific virulence factors in disease and the immune mechanisms associated with protection following natural infection or vaccination are still not completely understood. During any whooping cough outbreak, government and medical agencies and the media put out messages for the community to get vaccinated. This advice provides some level of personal protection (about 70% effective against Bordetella pertussis but may be ineffective against Bordetella parapertussis) for a limited time (2-5 years is the latest guess)–but that means perhaps 30% of those vaccinated are not protected, 70% are potentially asymptomatic vectors, and waning protection in fully vaccinated populations or households means many are susceptible to infection. Because this information is not commonly known, there is a false sense of security. Proper precautions are not being taken around newborns or the immunocompromised. Cocooning is potentially hazardous. It is a dilemma the scientific community is working hard to fix. The CDC advises the screening of potential typical carriers during outbreaks — but such advice is insufficient to contain any outbreak. Everyone potentially exposed to pertussis needs to be tested whether or not there are symptoms present. This might seem unfeasible now, but new diagnostic technology has been developed that may make testing cost effective and fast. The developing field of RDT (rapid diagnosis technology) for pertussis and other communicable infections may provide essential tools that can be incorporated into public health measures to help limit the spread of infection. 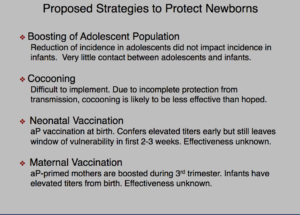 Vaccination during pregnancy does not guarantee protection nor has it been proven safe. The FDA baboon studies found that it was possible to generate antibodies in the infant by maternal and early neonatal vaccination that proved effective in reducing or eliminating symptoms of infection when challenged, but the young baboons still colonized and transmitted infection, and the study design could not speak to safety for the human fetus or child, nor the impact of repeated vaccinations with each pregnancy, nor the long-term impact on neurological or immune health. The FDA has not approved the pertussis vaccine–nor any vaccine–for use during pregnancy for specific protection of the infant because adequate safety studies have not been done. The FDA will not approve vaccines for pregnant women for protection of the infant until the appropriate studies are done, but it is repeatedly said it is unethical to run clinical trials with pregnant women because it could put the fetus in jeopardy. So why is it ethical to recommend these vaccines to pregnant women in the general population? Pertussis is a very serious infection. Vaccination comes with risk, provides limited protection, and creates asymptomatic carriers. Safety during pregnancy has not been established. Outbreaks will continue to occur, and it’s critical that everyone be sufficiently informed of vaccination limitations and risks in order to behave in as safe a manner as possible around vulnerable populations. Additionally, other tools must be utilized to detect those who are infected, and the safest most effective healing approaches explored in order to improve outcomes of those who become infected. It is becoming increasingly clear that pertussis is not an ideal candidate for control or eradication by vaccination. Global, federal, and state initiatives and incentives are creating enormous pressure to increase vaccination levels. None of these programs have written into their description any regard for the limitations and risks of vaccination, individual genetic or environmental susceptibility, the flexibility to incorporate new science into the plan, or any regard for medical freedom of choice. It is an undeniable fact that the entire population cannot be safely vaccinated, but protection of those at risk of injury or death from vaccination is not built into any of the programs. And in the absence of anyone being responsible for vaccine injury–from those who make vaccines, to those who administer vaccines, to health departments that promote vaccines–the messages being conveyed to the public never contain vaccine limitation and risk information critical to protecting individual health. PMID: 15304469 Association between carriage of Streptococcus pneumoniae and Staphylococcus aureus in Children. PMID: 7898220 Increase in pneumococcal bacteraemia in Sweden. PMID: 15361720 Changes in frequency and pathogens causing acute otitis media in 1995-2003. PMID: 28289058 What Is Wrong with Pertussis Vaccine Immunity? Inducing and Recalling Vaccine-Specific Immunity. PMID: 28289059 What Is Wrong with Pertussis Vaccine Immunity? Why Immunological Memory to Pertussis Is Failing. PMID: 28289064 What Is Wrong with Pertussis Vaccine Immunity? The Problem of Waning Effectiveness of Pertussis Vaccines. PMID: 24443545 Different effects of whole-cell and acellular vaccines on Bordetella transmission. 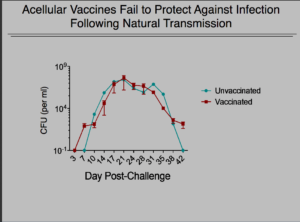 PMID: 24277828 Acellular pertussis vaccines protect against disease but fail to prevent infection and transmission in a nonhuman primate model. PMID: 10463173 Antigenic variants in Bordetella pertussis strains isolated from vaccinated and unvaccinated children. PMID: 19579693 A natural pertactin deficient strain of Bordetella pertussis shows improved entry in human monocyte-derived dendritic cells. PMID: 22914363 Appearance of Bordetella pertussis strains not expressing the vaccine antigen pertactin in Finland. PMID: 19751581 Bordetella pertussis strains with increased toxin production associated with pertussis resurgence. PMID: 24216286 Pertussis epidemic despite high levels of vaccination coverage with acellular pertussis vaccine. PMID: 24655754 A rapid ELISA-based method for screening Bordetella pertussis strain production of antigens included in current acellular pertussis vaccines. PMID: 28188123 The Introduction of Diphtheria-Tetanus-Pertussis and Oral Polio Vaccine Among Young Infants in an Urban African Community: A Natural Experiment. PMID: 24325827 Co-administration of live measles and yellow fever vaccines and inactivated pentavalent vaccines is associated with increased mortality compared with measles and yellow fever vaccines only. An observational study from Guinea-Bissau. PMID: 21691704 In vivo study of hepatitis B vaccine effects on inflammation and metabolism gene expression. PMID: 15626943 Hepatitis B vaccination associated with higher female than male mortality in Guinea-bissau: an observational study. PMID: 7975851 Suboptimal response following intradermal hepatitis B vaccine in infants. PMID: 24570246 Live vaccine against measles, mumps, and rubella and the risk of hospital admissions for nontargeted infections. 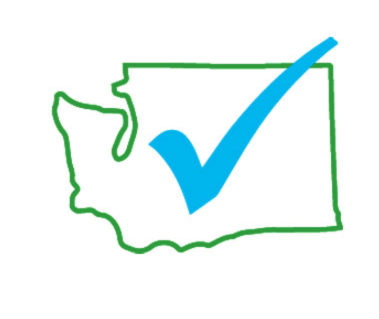 If after exploring this page you’d like the State of Washington to take immediate action to address the pertussis dilemma, please sign this PETITION.